The Right Brain: Gonna Make Engineering Great Again! 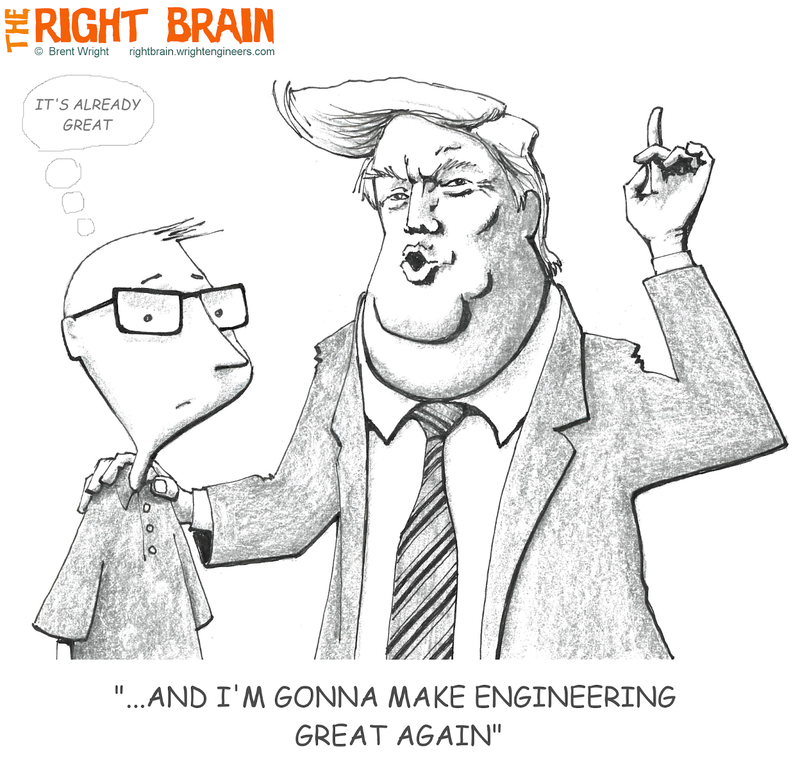 Gonna Make Engineering Great Again! The fact is, the development and construction business is booming again, and that's great for all of us. An actual statement attributed to Donald Trump involving engineers: "...My uncle was a great professor and scientist and engineer, Dr. John Trump at MIT; good genes, very good genes, OK, very smart..."
Credit for this one goes to Tom Allen from our Irvine office. He and Scott Jones were discussing ways to make our company "Engineertopia" when Tom said, "we need to make engineering great again!" Just then they looked at each other with "Eureka" expressions, slapped high five, and sent me their idea for a cartoon. For a related cartoon of people who (just coincidentally, of course) resemble Bernie and Hillary, click here.